Ameli never stood a chance, really. She was born to a mother with itchy feet, and by her second birthday she had been to 20 countries. That’s more than many people see in a life time! Unfortunately our circumstances changed and our travelling slowed down somewhat, but I like to think the impact of all those travels have landed and she will always be a little world traveller. 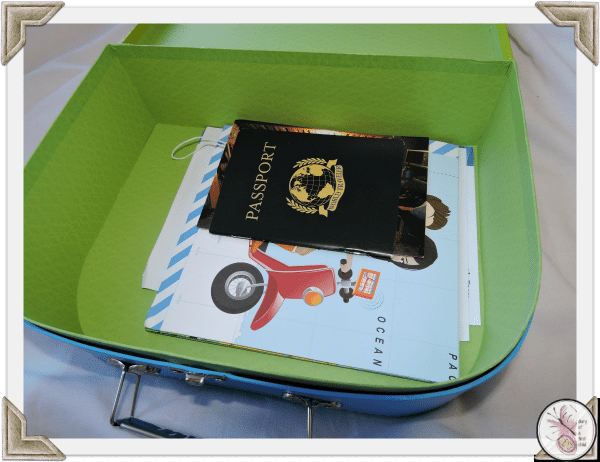 When we were offered a 3-month subscription to Little Passports I was really excited, because I knew she’d love it. Our first parcel arrived, and we set off on our Little Passports adventure. Being six, Ameli receives the World Edition for 6 – 10 year olds. The first parcel contains the blue and green cardboard suitcase, a ‘passport’ and a wall-sized world map. It also includes a welcome letter from Sam & Sofia (which I’ve managed to convince Ameli are real people!) and stickers to decorate the case, (later boxes include stickers for ‘passport stamps’ for the passport) a photo of the two friends and an activity sheet. There’s also a boarding pass with an access code for online games in the Boarding Zone. Ameli has been so excited about this first set that she has asked every day for weeks when a month would be over so she could get the next set, which we worked out from the clues will be Brazil. The activity sheet involves generic games, not related to a specific country, as it’s the first box. 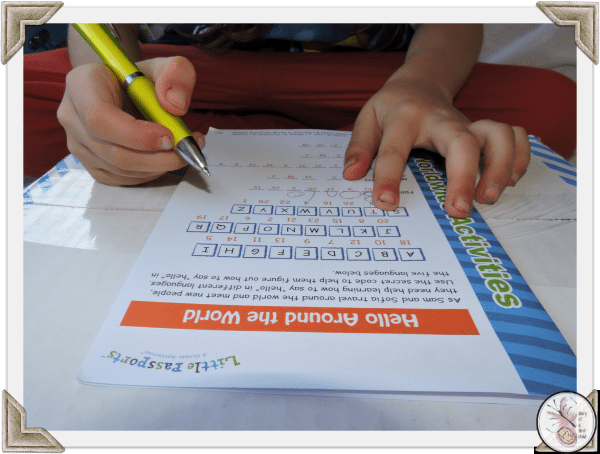 Not only is she learning about different countries, but it’s also an opportunity to practice logic, puzzles, writing and reading, so it’s an all-round educational experience. 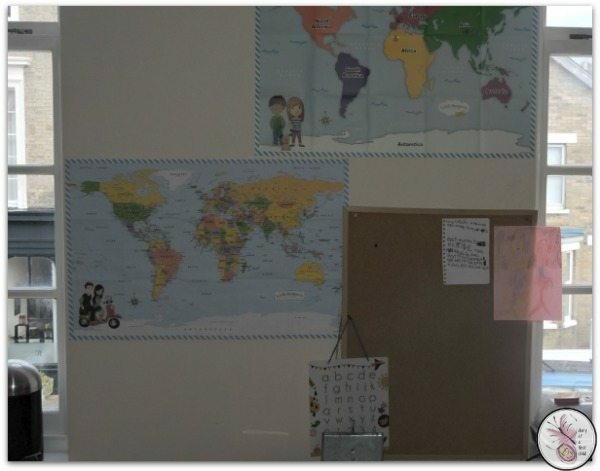 We really loved the full sized map too – it’s up on the wall and is makes a great addition to our learning area. (The top map is from the younger box, which I’ll review soon too). We are looking forward to having each month’s theme form a part of our learning agenda for that month, and because I know almost a month in advance what the theme will be the next month, I have plenty of time to plan activities, visits and other things to do around the theme. 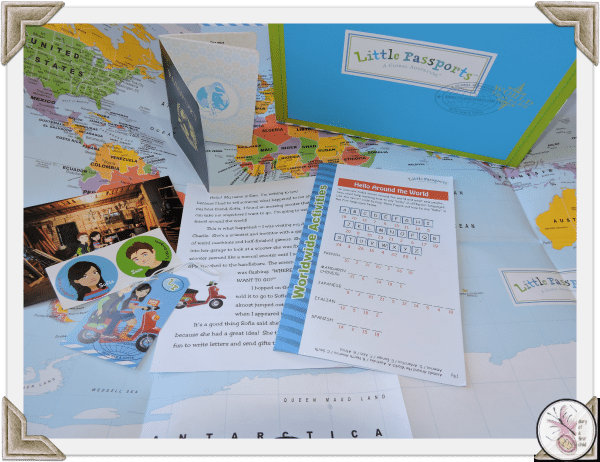 The Little Passports subscription isn’t cheap – but the objects that you receive each month are exciting and unusual. You’re unlikely to get them easily and without a lot of effort in a pack you put together yourself. 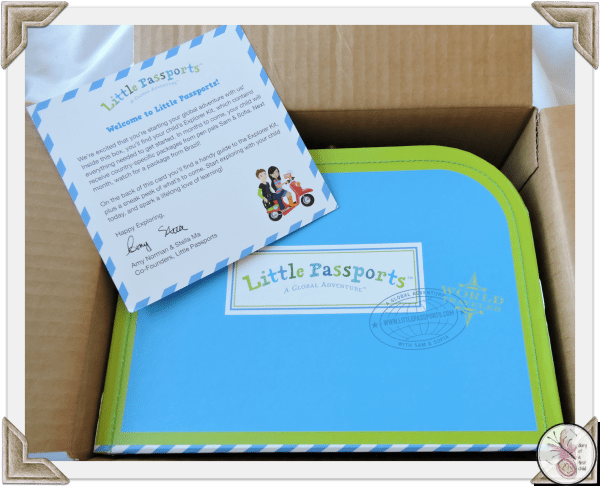 You can sign up to Little Passports here, with packages from £10.45 per month. I was given a free 3-month subscription in exchange for this honest review. Links are affiliated with Little Passports.